Trying to watch a movie on your iPhone is kind of like driving a golf cart to work: it gets the job done, but in the most inconvenient way possible. 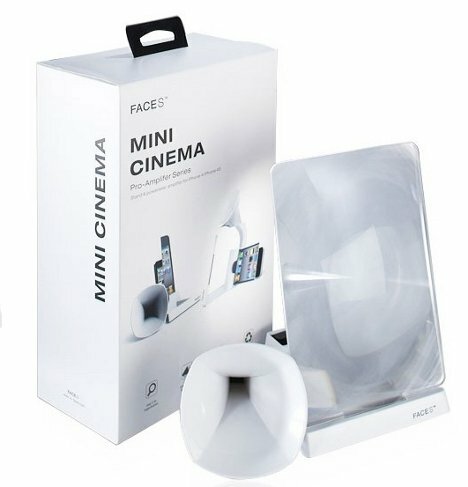 If you’re set on using your iPhone for movies, though, the Mini Cinema from Faces is a helpful way to make the experience a little more pleasant. The Mini Cinema is basically a non-powered dock fitted with a magnifier and an amplifier. 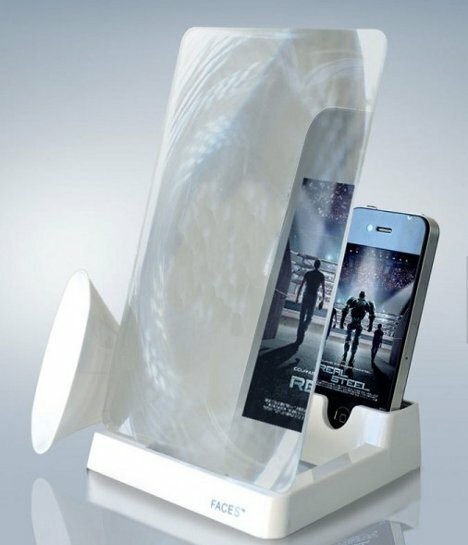 Your iPhone nestles in the middle so the plastic magnifying screen can turn the movie on your phone into a slightly larger-looking movie. 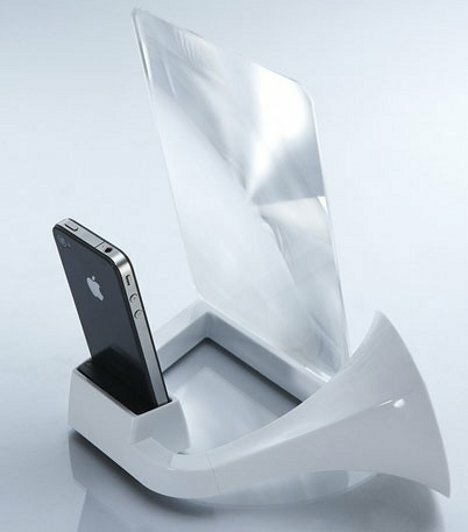 The amplifier makes the phone’s audio a bit more robust, making it easier to share your movie-viewing experience with someone else. The Mini Cinema is a neat tool, particularly if you want to watch movies on your phone with another person (which is virtually impossible under normal circumstances) but we aren’t convinced this non-electronic gadget is worth the hefty $68 price tag.